The Fédération Internationale de Volleyball (FIVB) has long been determined to develop volleyball into an engaging, spectator-friendly sport with worldwide appeal, but a few years ago the federation decided to get additional support on its direction and strategic guidance on how to achieve this ambition. JTA was hired in May 2013 to help the FIVB develop a dynamic brand architecture that complimented the federation’s core values of universality, good governance and innovation. Drawing on its strategic communications and international relations expertise, JTA worked with the FIVB to develop a cohesive vision of volleyball as the world’s number one family sport entertainment. JTA developed a communications strategy that ensured the FIVB effectively and consistently communicated this vision and its key messages across all communications channels. JTA takes an active role in content generation for the FIVB, including the production of press releases, the drafting and editing of web stories and compilation of the annual President’s Activities Report official newsletter. Media relations are also a significant aspect of JTA’s remit, with a particular focus on the top international sport and Olympic trade media. 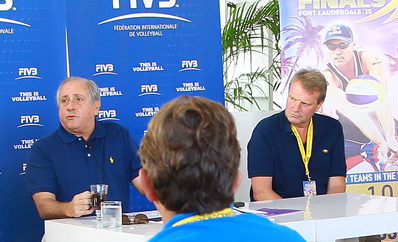 In 2015, for example, JTA arranged and managed a media trip for a selection of Olympic specialist journalists to attend and cover the Swatch Beach Volleyball FIVB World Tour Finals in Fort Lauderdale. 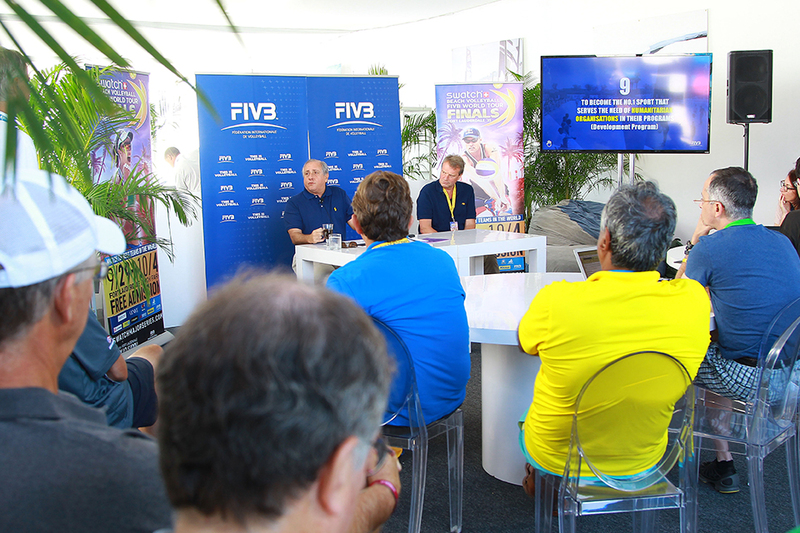 This media trip allowed journalists to see first-hand the innovative approach the FIVB has taken to maximise spectator engagement both inside and outside of competition. Media were also onsite to attend the launch of the FIVB’s 9 goals – a long term strategic plan developed by President Ary Graça and the FIVB to guide the federation to achieving its vision. A highlight of JTA’s collaboration with the FIVB was an SNTV feature to mark one year until the 2016 Olympic and Paralympic Games in Rio de Janeiro. JTA arranged the event, assisted with production of the feature and prepared President Graça for the interview. The feature was picked up by some of the biggest global broadcasters and received over 900 hits worldwide, helping to position volleyball as the signature event at the Rio 2016 Olympic and Paralympic Games. The FIVB is a long way down the road to achieving its goal and JTA will be alongside the federation every step of the way, further communicating its message and invigorating a global fan base. Dr. Ary Graça, President, FIVB. FIVB President Ary Graça launches FIVB's 9 goals at the Swatch Beach Volleyball FIVB World Tour Finals in Fort Lauderdale. 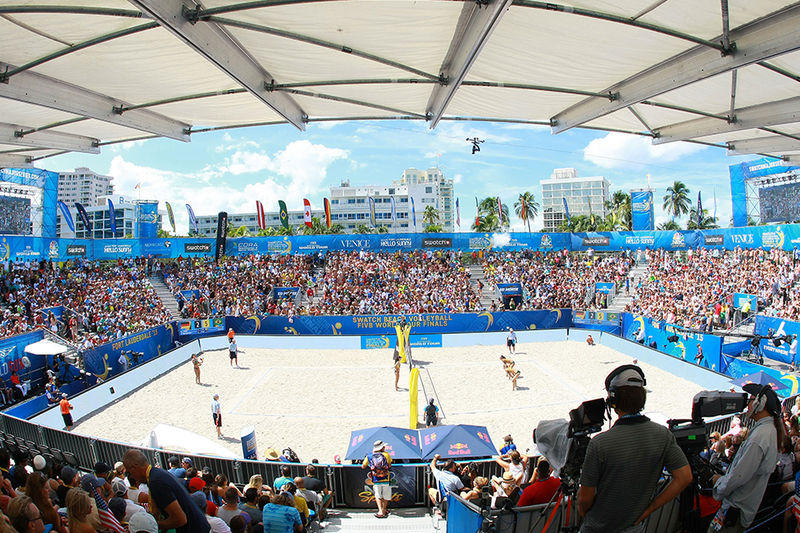 JTA accompanied Olympic trade media to the SWATCH Beach Volleyball FIVB World Tour Finals in Fort Lauderdale October 2015.